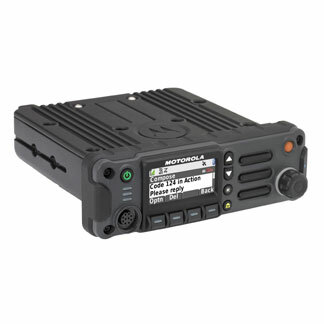 The APX4500 mobile radio is no longer manufactured, however accessories and replacement parts may be available. Please contact your Motorola representative for additional information. The APX4500 brings together powerful technology in a compact, rugged, mobile radio that's easy on your budget. It seamlessly unifies public works, utility, rural public safety and transportation users to first responders so they can communicate effectively in the moments that matter. A simplified dash mount design makes installation quick and easy. Its IP56 durability rating meets the highest level of certification for uncompromising performance in wet, dusty, and hazardous conditions. Equipped with safety features such as integrated GPS, intelligent lighting, voice announcement and AES encryption, your teams can safely and effectively complete the mission at hand.